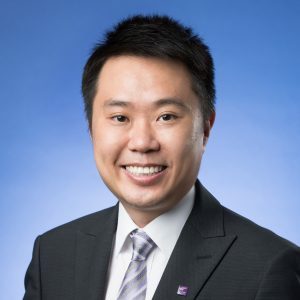 Prof. Darwin Choi joined The Chinese University of Hong Kong (CUHK) Business School in 2016 as Assistant Professor of Finance. He was Assistant Professor of Finance at the Hong Kong University of Science and Technology (HKUST) from 2009 to 2016. He received his PhD degree in Finance from Yale University in 2009 and BS in Economics and BS in Engineering degrees from the University of Pennsylvania in 2004. Prof. Choi’s research interests include mutual funds, hedge funds, and behavioural finance. His work has been published in the Journal of Finance, Journal of Financial Economics, Review of Financial Studies, and Journal of Economic Behavior and Organization. Darwin Choi, Zhenyu Gao, and Wenxi Jiang (2018), “Attention to Global Warming,” Review of Financial Studies, conditionally accepted. Darwin Choi, Bige Kahraman, and Abhiroop Mukherjee (2016), “Learning about Mutual Fund Managers,” Journal of Finance, 71, 2809- 2860. Darwin Choi and Sam K. Hui (2014), “The Role of Surprise: Understanding Overreaction and Underreaction to Unanticipated Events using In-Play Soccer Betting Market,” Journal of Economic Behavior and Organization, 107, 614-629. Darwin Choi, Mila Getmansky, Brian Henderson, and Heather Tookes (2010), “Convertible Bond Arbitrageurs as Suppliers of Capital,” Review of Financial Studies, 23, 2492-2522. Darwin Choi, Mila Getmansky, and Heather Tookes (2009), “Convertible Bond Arbitrage, Liquidity Externalities, and Stock Prices,” Journal of Financial Economics, 91, 227-251.